I have some good news for the faithful. Beginning in April, I will be editing a 4 page literary series pullout for Sunday Sun, Nigeria’s highest circulating newspaper. Not famous for its intellectual content, we hope that these pages will help introduce Nigeria’s known, but especially upcoming writers to the wide reading audience of The Sun. We also hope that the pages will help pull in a more intellectually refined and cultured audience. The over arching aim is to make literature and culture accessible to our readers by heightening the intellectual and cultural appreciation of the man of culture and helping the unrefined cultivate those tastes that bring intellectual, literary and cultural refinement. And to do this, we need writers like you to populate the pages. We intend to make it a place for the dissemination of information and engagement of intellectual ideas. We want grandstanding and controversy. We need good poets and prose stylists to strut their stuff on our pages. We want brutal, passionate but objective and non-malicious reviews. Now, scratch that: We want blood and gore as well as mellifluous lines and sparkling prose. We want freshness, novelty, innovation. We want to make the pages a nesting place for the creative and literary minded, for the man of culture and refined taste. We will publish poems, interviews, literary essays, opinionated pieces on books, movies, awards, music, the visual arts, etc. We will publicize new books and your events if we receive complimentary copies and invitations. We will promote award winners while critically interrogating the award giving bodies and the prizes they give. We want first Chapters of works in progress or soon to be published books and just maybe, recently published books. We need edgy stuff, poems and fictional works that push the envelope, works that provoke discussions, reviews that introduce, elucidate and commend. We will not censor or KILL reviews or essays. We will even publish works that attack and lambast so long as they are written in beautiful prose or heart warming poetry without malicious intent. If you have works for us to publish, please drop me a quiet note on tkeditorsun@ymail.com.and pls keep to 2000 words for longer pieces." This is fantastic news. I will surely be saving that contact. Good on Toni Kan! Toni Kan is a boastful and overrated so and so. He should have learnt from his disastrous stint at NEXT that it's better to do great work without making a lot of noise ahead. Some things in this announcement of his will not endear him to people at the SUN either. @ Folly, I beg leave the guy alone. He gives Nigeria what they need - I guess!! 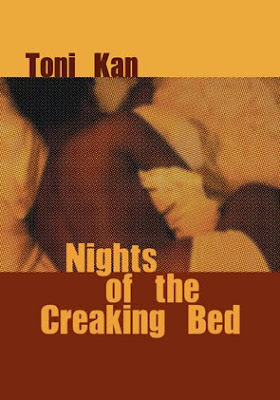 But whatever the case sha, me I like his book Nights of the Creaking Bed, Broda Sonnie is my favourite and My Perfect Life.